Hard-to-find 2006 ranch is cute as a button, offering a large cul-de-sac lot w/privacy, & an open plan inside. 3 beds, 2 baths. 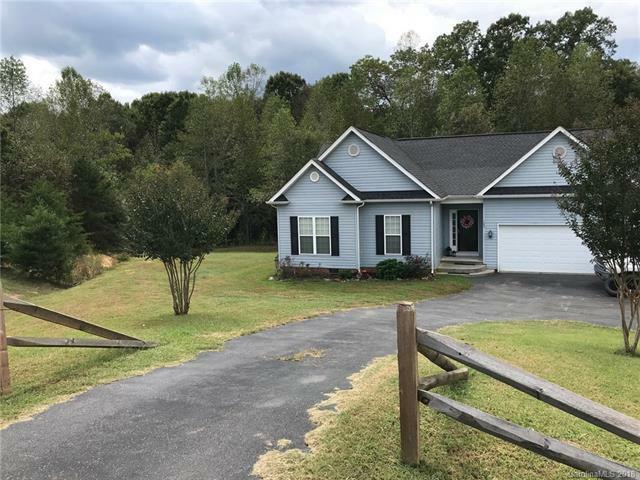 Vaulted living room w/gas fireplace; breakfast nook w/bow window; & master w/trey ceiling, electric fireplace, walk-in closet, & custom master bath w/large shower! Home has "smart" Nest thermostat; 2 car attached garage; & large deck overlooking big backyard w/fire pit. Stream at back of property. Woods beyond can't be built on, so lot looks larger than 3/4 acre. Located close to Troutman, so 77 & 40 are just minutes away.